Two X-Force Books Announced For Marvel Now! Attempting to breathe humanity into a villain is a very tricky tightrope to walk: fall to one side and you risk making the character too sympathetic, while going too much in the other direction will simply make the character into more of a monstrosity than it was before. In Brainiac #1’s case, it would definitely be the latter of the two. Whether this was intended is unclear, but what we get out of this story is a version of Brainiac that somehow manages to make the character even colder and more unnerving. Which, it should be said, is pretty flipping neat. The story opens on Noma, one of three planets being “saved” by a being called the Collector by his minions. As one of its residents is forced to watch the destruction of her world, she also learns of this Collector’s origins and motivations. As annihilation looms, will she be able to stop this Brainiac in time, or will her home suffer the fate of so many before it? As said before, it feels like writer Tony Bedard was trying to give Brainiac a more relatable human side in this story, but what it ultimately turns into is a chilling portrait of the character’s genesis rather than a sympathetic one. We learn that, before he was Brainiac, he was Vril Dox – a scientist, husband, and father working to save his home planet from destruction. In many ways he’s a reflection of Superman’s father Jor-El, except for the fact that he’s also an egomaniacal sociopath. This story makes Brainiac even more frightening because we get to see that all of these elements in his former life were just for show, acting as cover so that others could not see the monster inside. All of this issue’s chaos, terror, and twistedness is illustrated beautifully here by Pascal Alixe. The scenes of destruction on the planets being bottled look alive on the page rather than like snapshots of the action. And the quieter moments where we get to see the inner wickedness of Brainiac work wonderfully as well. It’s incredible how much of the character’s coldness and self-righteous fury is expressed through his dead looking eyes. Pick this one up, for sure. 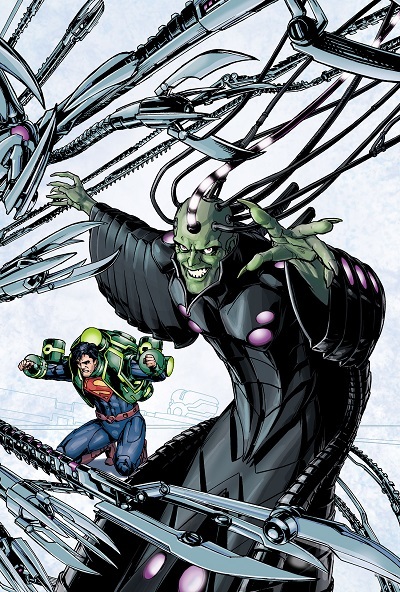 Tony Bedard and Pascal Alixe somehow manage to make Brainiac even more of a terrifying force of nature, making this Villain’s Month story one of the strongest yet. Tales from the Archives: Make Mine Amalgam!! 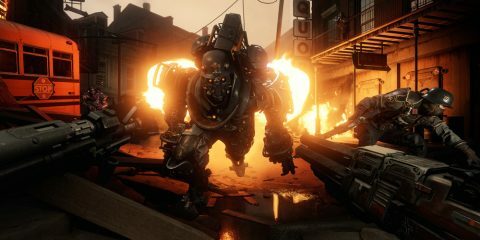 Talking Games Episode #13: E3 2014 Blowout!